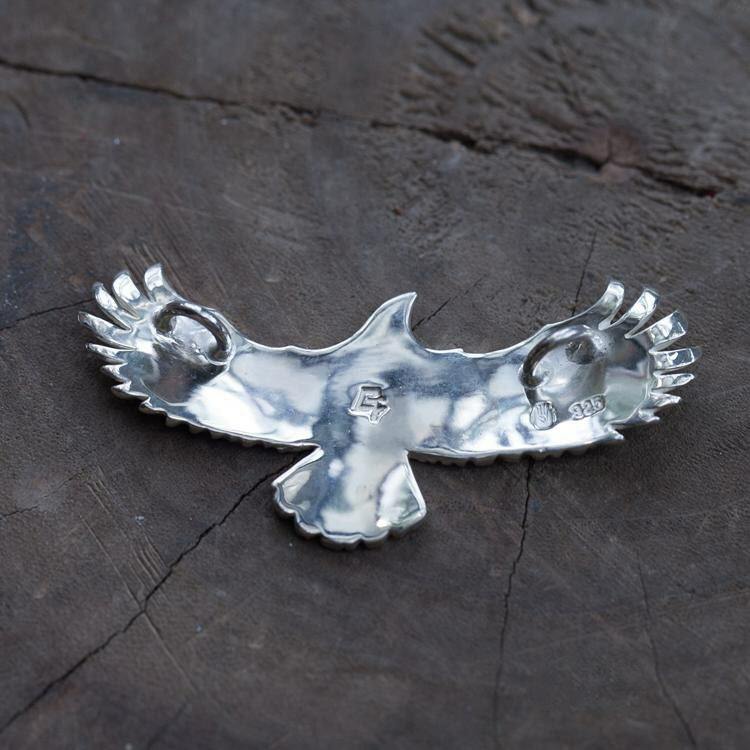 The silver eagle pendant is inspired by an old Native American legend. When the eagle was a newborn, high up on a cliff, it fell down and broke its wings. But it had a tremendous power to heal and regenerate and grew a new pair of wings. It could soar higher than any other bird. 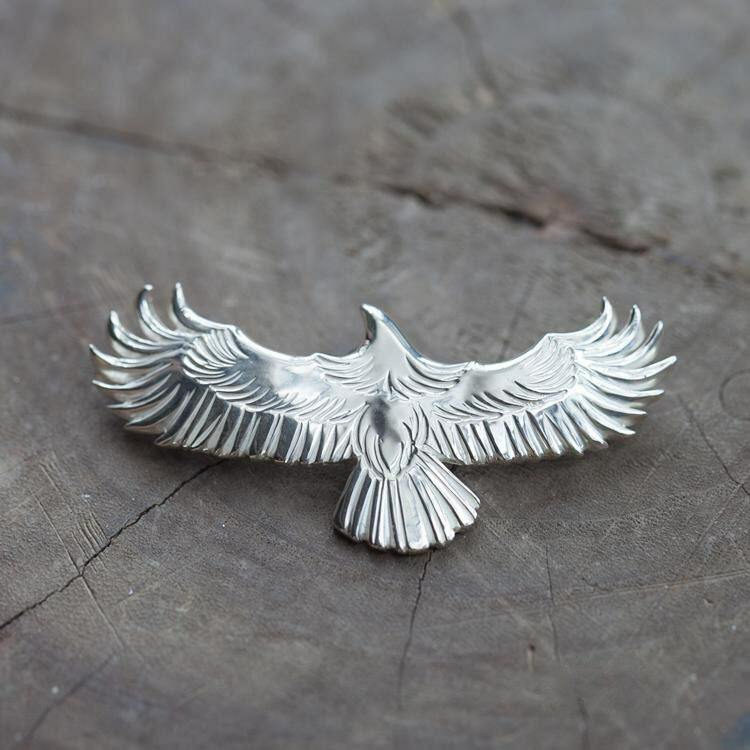 This eagle pendant is a tribute to that indomitable spirit of the eagle. 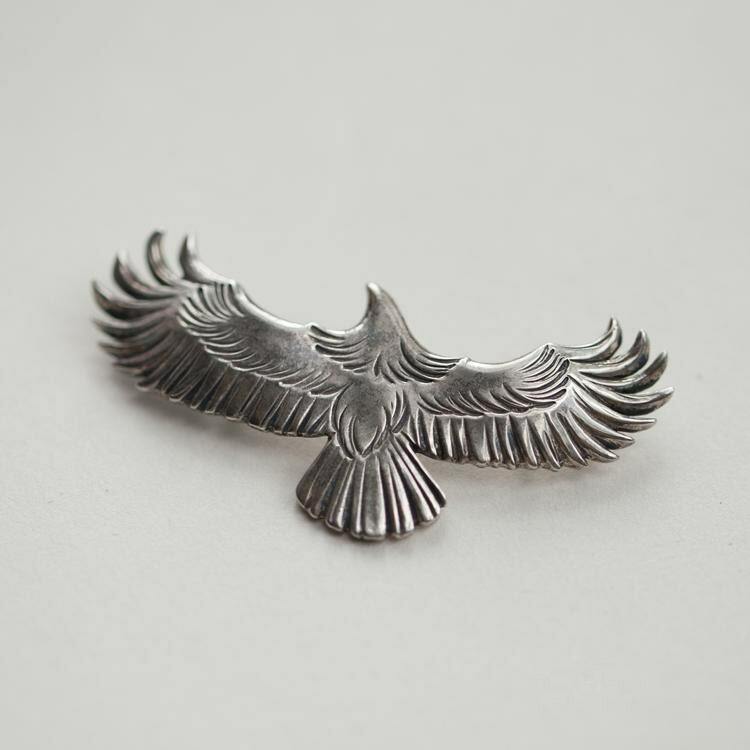 Crafted in 925 sterling silver, and carved in fine, realistic details, the eagle conveys an image of tough strength. We have welded two loops at the back of the wings - one on each wing. This makes it easy to attach it to any silver chain. We also include two FREE silver loops with very order - in case you want to put the pendant on thicker chains. 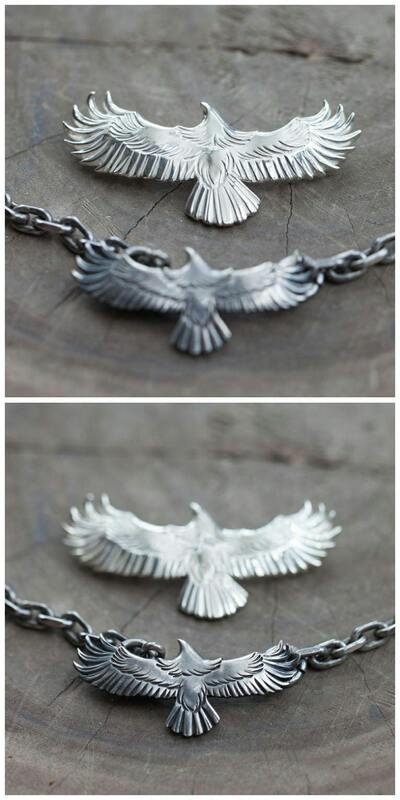 The silver eagle pendant is available in two finishes - original polished and vintage oxidized. 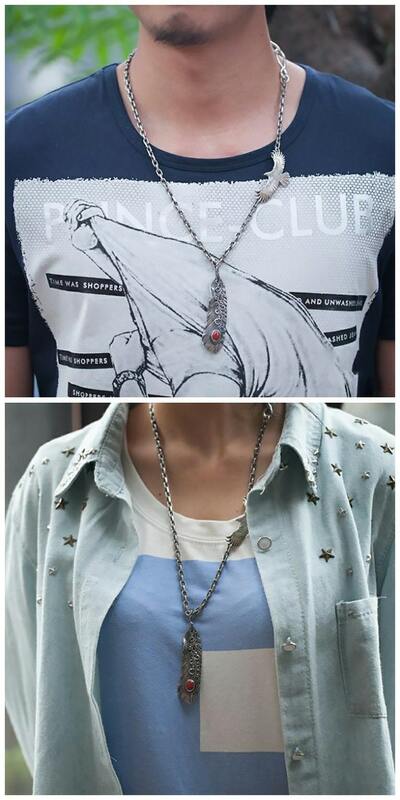 Note: The necklace and chains shown in above images do NOT form a part of the purchase - they are sold separately. Shown here just for display purposes. Beautiful pendant. I'm very happy with this purchase. Love love love my Eagle pendant! It's a beautiful piece of art. Liang was very patient and communitive to accommodate my pendant to fit my link chain that I was wanting to put it on. Thank you! I hope to purchase from him again.